According to a report from the Institute of International Education (IIE), study abroad does more than boost your resume. IIE President Dr. Allan Goodman believes the world and the workforce are becoming increasingly globalized every day. In his opinion, students need to gain an international experience which he believes to be vital for career success and mutual understanding. For that very reason, Southern Utah University is increasing study abroad opportunities for students while making programs financially attainable. 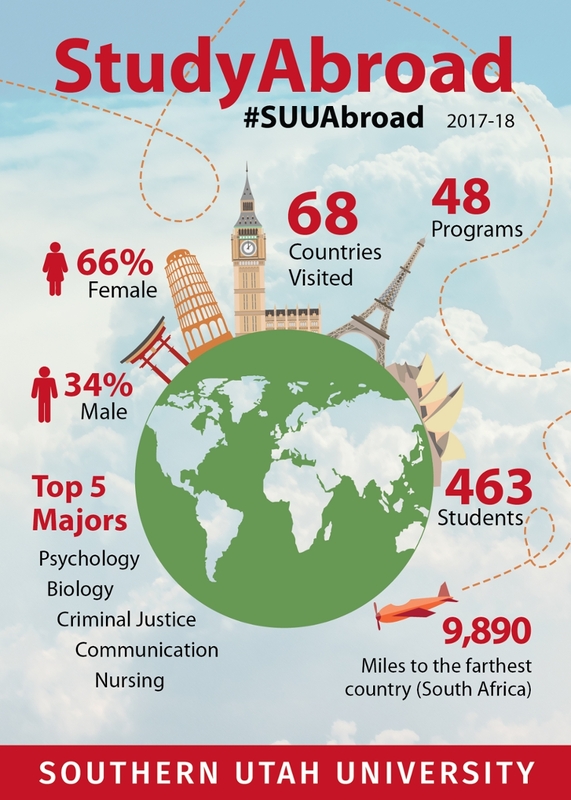 During the 2017-18 school year, SUU’s Office of Learning Abroad coordinated the study abroad of more than 460 students to 68 different countries from Nicaragua to Austria. Jill Knox, a junior history education major, traveled to New Zealand to learn about Polynesian perspectives and culture. During her trip, Jill was encouraged to take pictures, try new food, and learn new words. Logan Wyness traveled to Japan to study nutrition and family life. A senior computer science major, he has always had an interest in Japanese culture. He’s now considering living and working in Japan in the future. 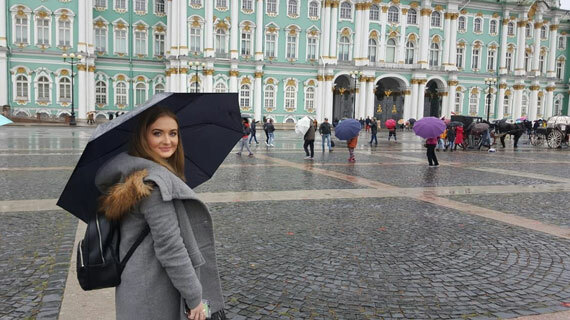 Kaitlin Lawler, senior psychology major, studied abroad in Romania in May where she visited historical sites, met with locals and studied the cultural differences of people from the region. Tessa Douglas, the former assistant director of learning abroad, said that studying abroad is one of the most beneficial, life-altering experiences a student can have. To learn more about the SUU study abroad program, visit the SUU Office of Learning Abroad site.